Not only is voting a fundamental part of your civic duty, but it's also a fashion statement. Nothing says "I'm trendy" like a shiny "I Voted" sticker. And while those who sent in absentee ballots will not be handed glowing badges for their patriotism today, that's not to say we don't commend them for their contribution to society. Absentee ballots matter! You, too, are trendy! And if you felt like mailing in your vote was both inconvenient and torturous, take a second to remind yourself that astronauts still cast their votes from the sky, using absentee space ballots. Outer space is, without a doubt, more difficult to reach than Pennsylvania, or wherever you filed your forms from. Due to a Texas law passed in 1977, the United States maintains a tradition called "Space Voting," which sounds infinitely cooler than voting-sans-space. Any astronaut looking to participate is required to begin the process a full year before Election Day by selecting which local, state, and federal elections they'd like to vote in. Six months later, these heroic registered space cadets will receive their absentee ballot request forms. 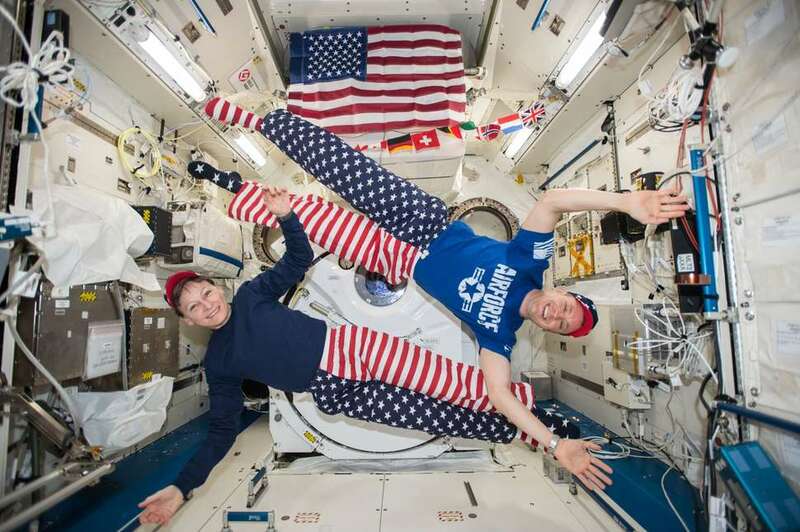 Come election day, while they're thousands of miles from any earthling public schools equipped with voter stations, these astronauts will each receive a private, encrypted email from the local team in Houston with the appropriate ballot. Once complete, they'll email their cards right back down to Houston. That's all there is to it. "It’s a right that we have here, and it was neat to exercise that right from such a unique vantage point and a unique place," Astronaut Shane Kimbrough, who was aboard the International Space Station in the midst of 2016's presidential election, told Houston's News 88.7 in an interview. "And doing it while going 17,000 miles an hour. That’s kind of cool too," he said. If at this time you are situated on Planet Earth, traveling at any fewer than 17,000 miles an hour, and you have yet to cast your vote, you are officially cancelled until further notice. That is all. Eliza Dumais is a news writer at Thrillist who voted from planet earth. Follow her on Twitter.